Welcome to our home, the foyer is the place to begin. This will be a great place for our guest s to enter and enjoy our home and I hope you agree. 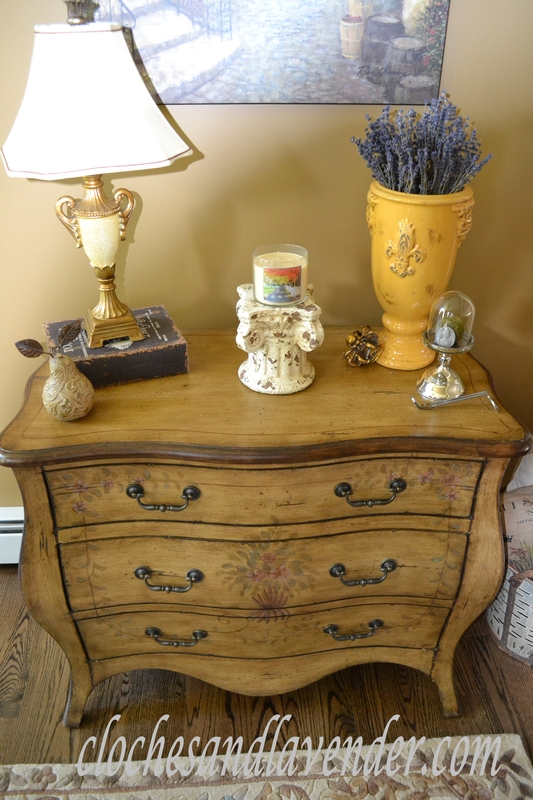 I added our Bombay chest using the items I already had that were from other areas in our old home. 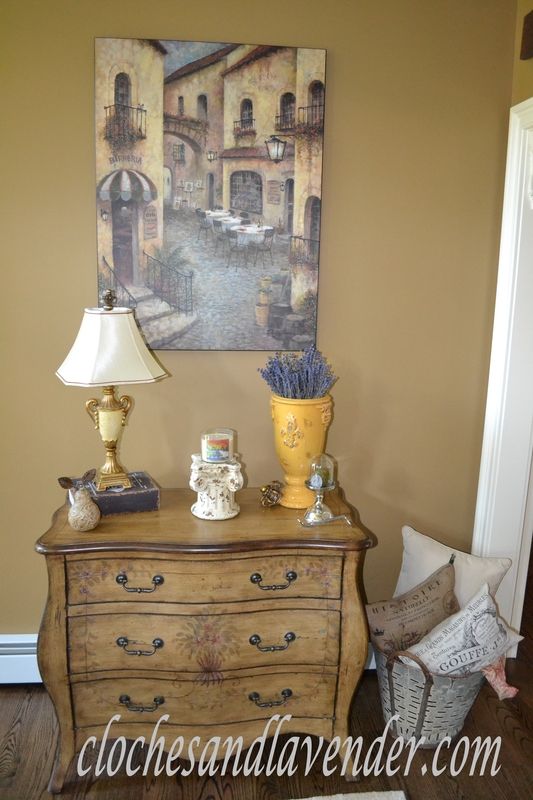 Many items are favorites, the large yellow vase I purchased at HG and added my favorite things, lavender! Love the contrast in color. I always have a candle in the foyer to greet everyone with a beautiful scent of home. I chose to start with Autumn since it is quickly approaching. Placing it on this aged terracotta pedestal adds some height and zing. This lamp we have had for years and I can’t even remember where we got it from and I used one of my faux books from HG to elevate it, nice. This filigree pear is another favorite, my stepmom brought this piece back from Caroline for me. The picture above I had from Art.com., one of my realtors was hoping for this if I didn’t use it, sorry Judy! I had another favorite touch to add which is, SURPRISE, a small mercury glass cloche, imagine that lavender and cloches, hmmmm. I added a moss ball and a clay tag that I purchased from Rosemary at Villabarnes a couple years ago. You may notice them in other small sections of the house, maybe even under another cloche. I couldn’t wait to use my olive bucket I purchased from Décor Steals while the house was being built. Love this piece and when I saw this I jumped on it and this will be a staple in our home décor. 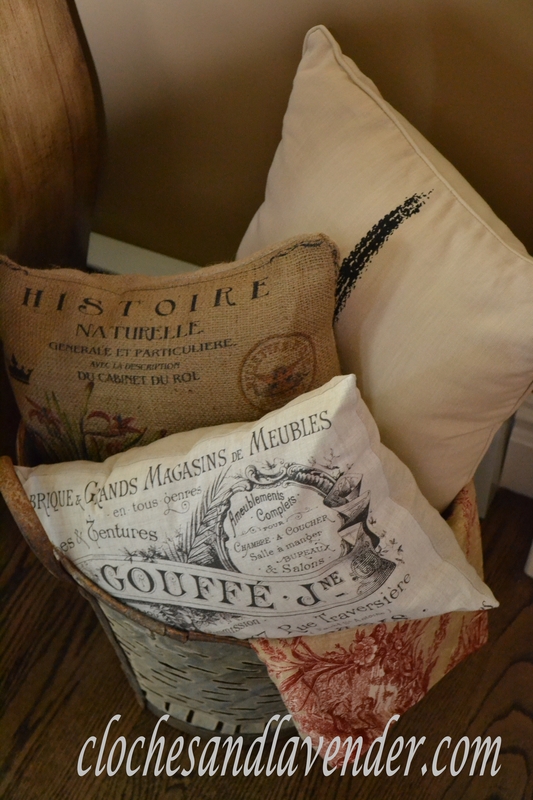 I added some of my favorite pillows from HG and Etsy as well as a wonderful piece of toile fabric I had on hand from the old house. Across from that I placed a Hitchcock chair that was my moms. I was with her when I was little for a sidewalk sale at a furniture store that we still purchased our furniture from today when we brought this item home. I was little but remember that day. I sometimes want to give it a wash of paint but then I can’t bring myself to touch a great piece, even thought slightly shipped, it was moms, so a bit tough, maybe some day. 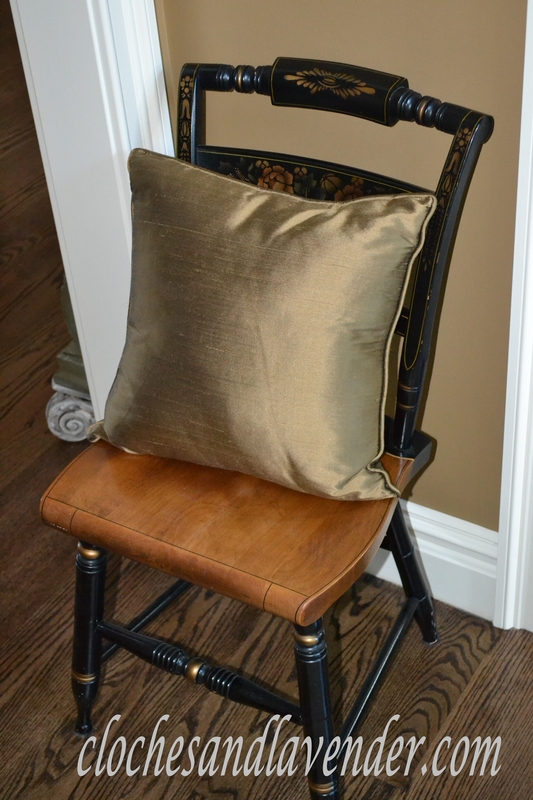 I thought this pillow was a great addition for the chair from Country Curtains. Have you noticed a pattern, Country Curtains fan here, LOL. 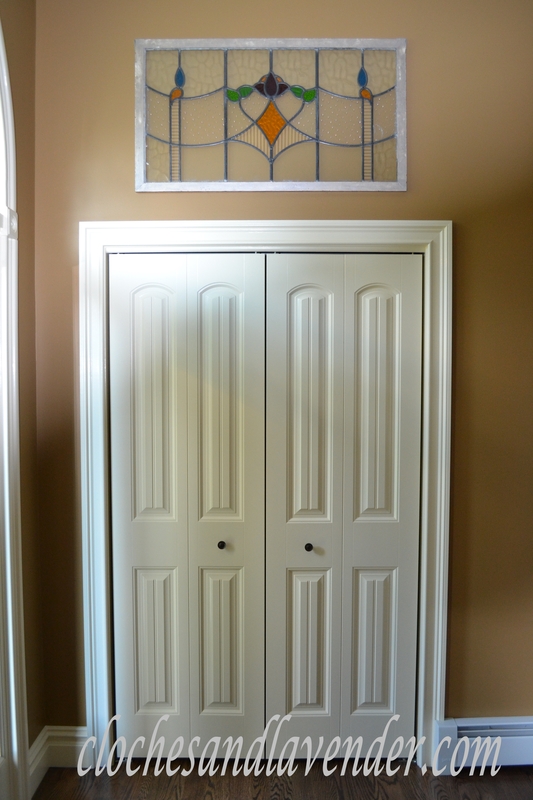 The stained glass window above our coat closet, is a piece that we purchased years ago from auction on EBay. This one made it safely, while the other one gets repaired that was damaged in the move. I enjoy the light hitting it in this spot in the late afternoon. 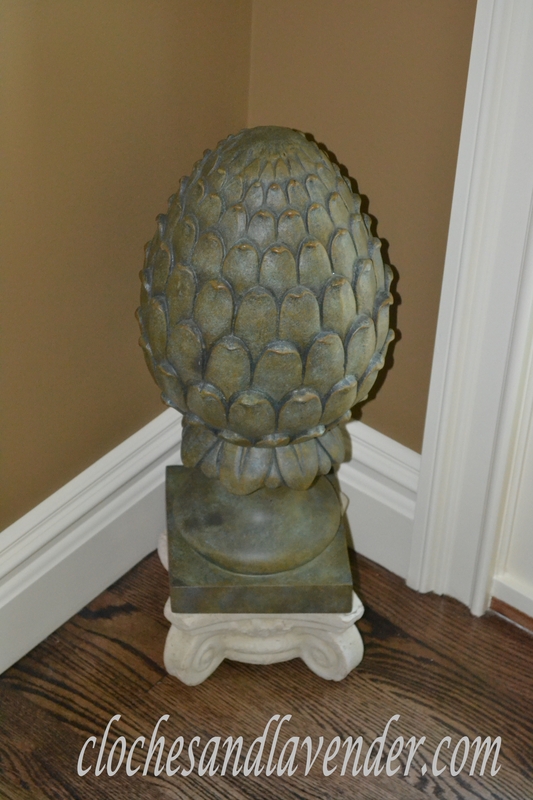 This large finial in the corner we had on our hearth in the old house and I thought it was perfect for this corner and added a pedestal I aged to give it height. The piece you see over the doorway that takes you into our great room is from Ballard which I am sure is familiar to many of you Ballard fans. Couldn’t pass this sign up when I bought this for John’s old office. Shhh, I swiped this from him, LOL. We round out with a rug I re-purposed from our other house and the medallion the ceiling which I made several for the house with a faux treatment to offer some character. I hope you enjoyed the place to enter into our wonderful new home. We are so in LOVE with this home I can’t even get it across with writing. I wake every morning happy to be here with my small family. Stay turned for more!!! Love the foyer, so great to have tall ceilings and I love the light fixture. Now, I am a believer that everything can be painted…But, not Moms chair…Like you said. Your foyer was so well thought out! Can’t wait for more! very welcoming cindy! love the hitchcock chair….one of my favorites!!!! I was so excited to see the word “Welcome” on your bloglovin’ feed just now! Of course, I knew that meant we were being welcomed into your new home. It’s every bit as beautiful as I envisioned, and so warm and welcoming. I can’t wait to see more! Thanks you so much Laurel and your support means a lot! Thanks so much Martin, the posts will be coming! What a great place to start the tour our your lovely new home. Cindy it is very welcoming and pretty. Wooooo Hoooo so happy for you. It all looks amazing. Thanks Kris for all your support, more to come soon. 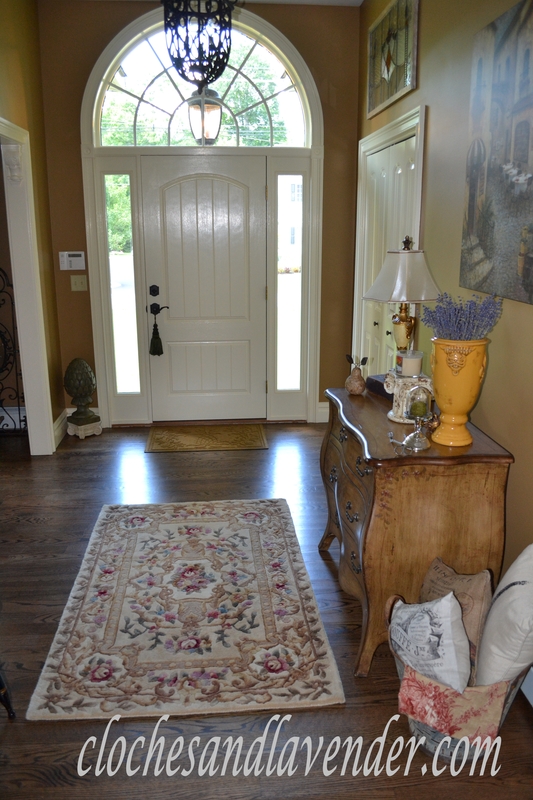 Your foyer is so beautiful and welcoming, Cindy!! I know you’re having so much fun decorating with all your lovelies and making your house a home to enjoy! I am having a great time and enjoying the process. Thanks for always stopping by! Quite a lovely way to welcome visitors to your home. Gorgeous! As I knew it would be. It looks like you’ve been there forever. And I love the black door!! Cindy! It’s all so gorgeous! I love what you’ve done. it’s a beautiful entry, cynthia! love your bombay chest! Your foyer looks so lovely, Cynthia. I love the Bombay chest and you’ve decorated it perfectly. Don’t you love HomeGoods? One of my favorite touches is the Hickory chair that was your Mom’s. It is perfect just the way it is! What a beautiful home….you must be thrilled to finally be in it! 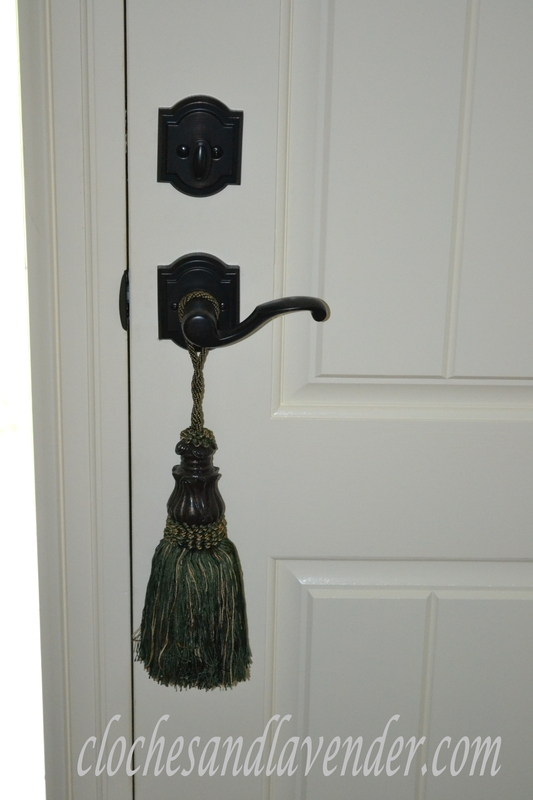 Love your front door and your foyer too! Can’t wait to see more! It’s absolutely beautiful, Cynthia. I love the subtle colors. Thanks Rosemary, love your visits. Oh Cynthia, I’m so happy for you! 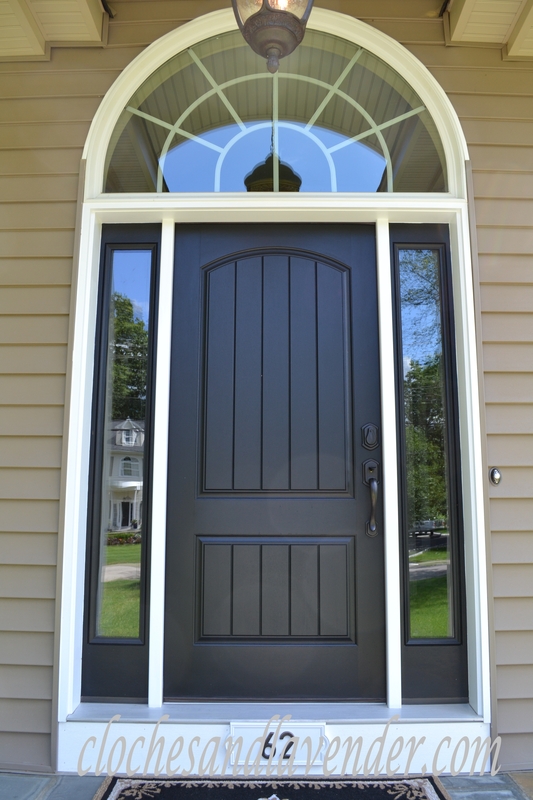 From the color and style of your front door to the details in your entry, your home says Welcome! That light fixture is just awesome, too! Thanks so much Jane and for being so supportive! Cynthia, everything is just beautiful! It really IS welcoming! I can feel the love that you have for your new home. How exciting! Enjoy! Thanks Shenita for always visiting. Cindy, everything is gorgeous!Your foyer is so welcoming! I adore your pillows in the olive bucket! You have styled your chest perfectly! 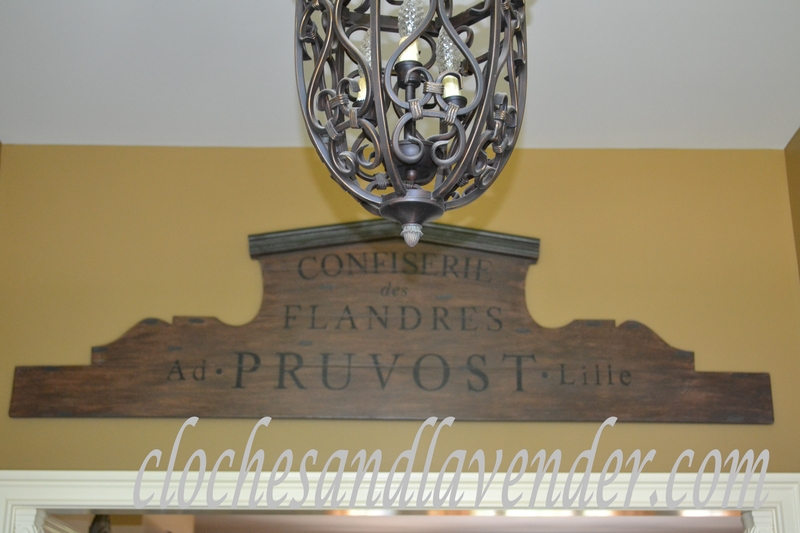 The light fixture is so pretty and the wrought iron is a perfect accent for this area! You have done an amazing job! I can’t wait to see more! Do take care of yourself! Don’t work too hard! Thanks so much Betsy, I am happy with everything and I am thrilled with the light fixture and love it with the medallion I made too. It’s beautiful, Cindy! Everything looks great. I love your front door and your floors look wonderful. That chest goes so well with them, too. : ) I do love that Ballard’s architectural piece. I couldn’t resist with that piece. I love it in the foyer. Thanks Kathy! Your new home is looking just lovely, Cynthia, and I couldn’t be happier for you! I scrolled through your last few posts and I can tell how excited you are to finally be moved into your home. I love your front door and the stained glass window you’ve hung over your doors. I can’t wait to see the rest! Thanks so much Vickie for your kindness. I am over the moon with this home. Can’t wait to show more. Your joy is palpable, and it should be Cynthia! You’ve waited a long time for this lovely home to be yours, and you so deserve every beautiful detail of this home that is now yours. The Hitchcock company was just a few miles from our cabin up until a few years ago and I never really understood how revered they were until then. They are truly collectors items and yes, you done good by leaving the chair alone! Thanks Doreen, I am so happy here, I love it every day. I am happy I have cherished this chair the way it is, they are special. Cynthia your foyer is just stunning! 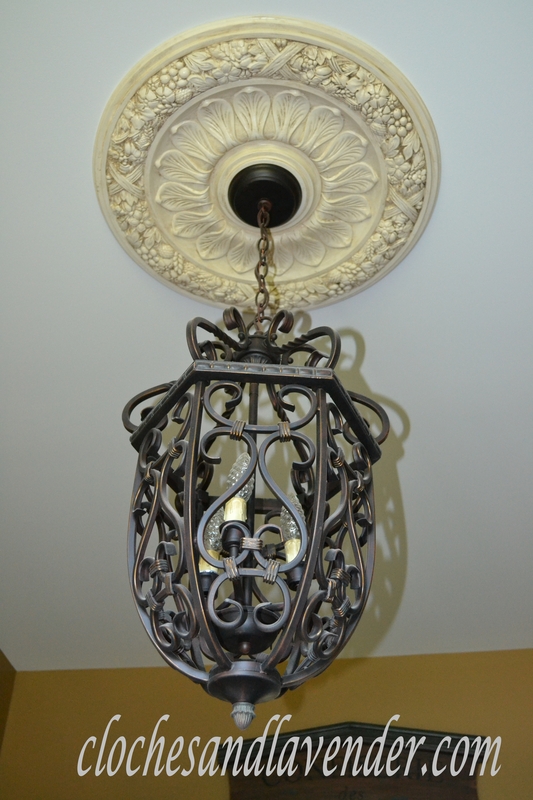 The ceiling medallion and light fixture are just perfection! That’s too bad about the couple that bought your home! I can’t believe that can’t hold onto it a little bit longer. I’m glad it’s a younger couple that are buying our home. You need energy and time to keep up my yard. The people who bought our home are young, they just probably don’t have the desire. I am very happy how the foyer looks. I am getting so many ideas for fall Christmas for around the house! Your new home is just gorgeous! I have that very sign from Ballard. I love it. Everything is coming along so nicely for you. Thanks Debbie I am really have a great time. Your foyer is so welcoming! I love your floors. I don’t blame you for being happy everyday waking up in your new pretty home. Thanks for the foyer tour. Thanks Kelly for your kind words. So beautiful Cynthia!…I love the decor of your foyer..and hope they are able to fix your other stained glass piece…the door is gorgeous! They are supposed to come pick it up. They found a stained glass artisan that can fix it, so happy. I am really with the way things are turning out with decorating the house. Very beautiful and inviting. You did an impressive job! I’m amazed at all you have accomplished! 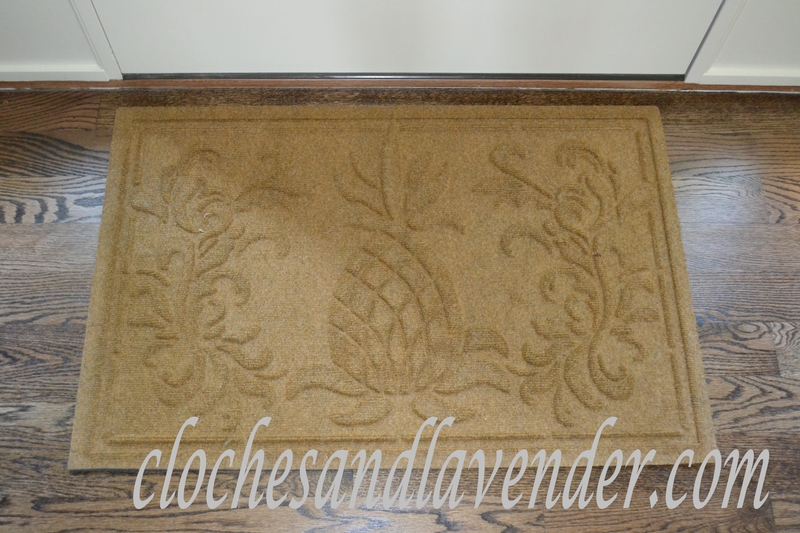 Your foyer is stunning with all your touches. How are your sweet dogs adjusting? I am loving the doing the finishing touches. The pups are doing great, they love it here! Thanks for asking. Oh Cynthia – STUNNING !!! Love all of your decor – what beautiful taste – and those floors? OMG – those floors !!! 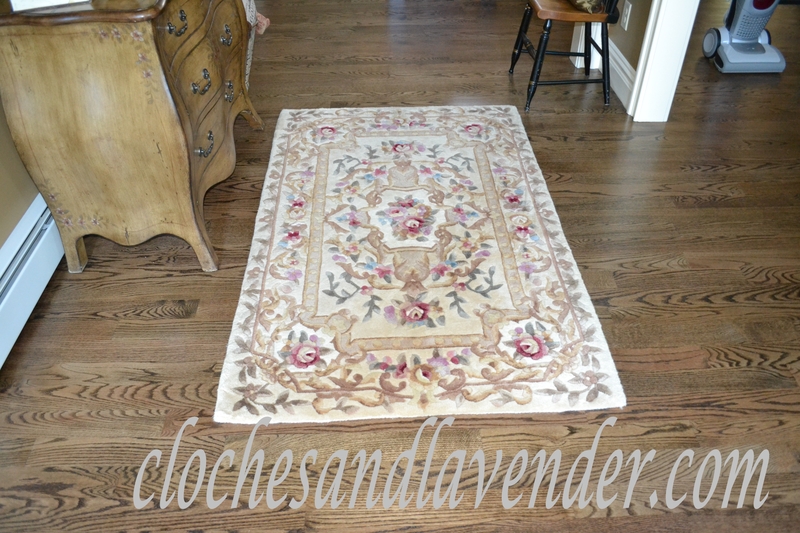 Thanks Suzan, I love the floors too and can’t wait to show more! Cynthia, your entry is so inviting. I love the chest and the combination of yellow and purple is so lovely. It;s easy to see why you love this home so much! Thanks so much Jann, more to come! Hi Cindy, Your entry is gorgeous and I love the chest. Such an inviting entry space. I can see you are so excited in your new home. It looks beautiful. Looking forward to more. So glad we met through the spotlight. Thanks so much for the visit. I am unbelievably impressed with your talent and looking forward to seeing more! Your foyer is so warm and welcoming. I love the olive bucket and those pillows. Thanks so much for the visit Penny. Hope the sale of your house is moving along. BEAUTIFUL!!! Love the golden rug you have at the front door. What an absolutely wonderful way to enter your lovely home, Cynthia! I love it and can completely see why you do as well! Looking forward to seeing more as you post! So beautiful, Cynthia! I can just imagine how happy you are to be in your new home. The front door is amazing. Would you mind telling me what brand and color of stain you used on your hardwood floors? Not at all Suzy, it was Minwax Dark Walnut. We love it and we went with matte poly. I wanted to let you know the brand of the stain was Bona. Sorry for the wrong information the first time. Color is dark walnut. Love your beautiful selection. Thanks for sharing. It’s great to see all of the pieces that have such meaning to you. It’s wonderful to hear how much you love your home!